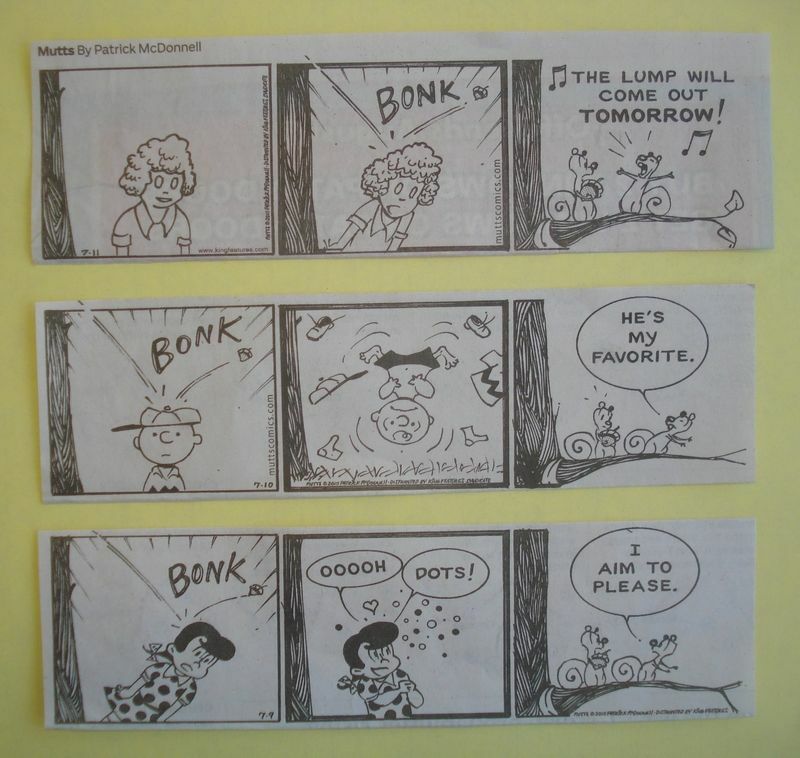 Here are the rest of the Comicon-concurrent, comics-related Mutts strips. 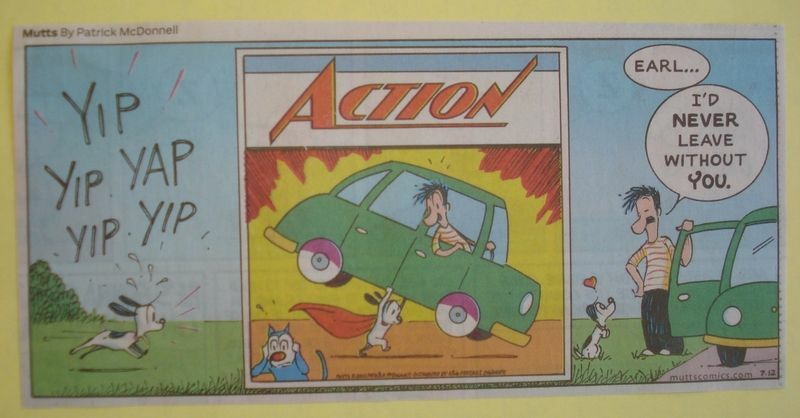 If The Hayfamzone Blog were a shameless gossip rag it might hypothesize that creator Patrick McDonnell is harboring some deep-seated grudge against costumed superheroes this year since they are featured in but two of the seven strips. But honestly, more Mutts readers will recognize Charlie Brown this year than recognized The Invisible Girl and Dr. Strange and The Thing last year. There can't be any harm in that. I trust Mr. McDonnell's judgment and I like all of his Comicon-week choices this year and last year and every year. Click right here to see this year's first three strips. Why Did Mort Weisinger Do It? Where is Simon & Kirby's Manhunter?